Every home is different, with unique floors plans, distinct shapes, and varying locations that require a diverse style of window. If you have a stunning view of the outdoors, you need a window with a large glass surface area to display the view in the fullest. If you love fresh air, you’ll want a window that is built for ventilation rather than surface area. No matter what style of window your home lends itself to, Twin Cities Siding Professionals has you covered, offering a wide selection from two of the leading replacement window brands in the U.S. – Marvin and Sunrise. Casement windows are hinged on one side, and can be designed to open on the right or left side. 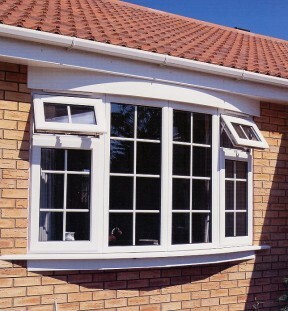 Designed to limit air leakage, these windows are extremely energy efficient and easy to maintain. Composed of a large and expansive pane of glass, picture windows are ideal for homeowners with a view. Marvin offers a revolutionary vented picture window that will surely impress those who love fresh air. Join the many Twin Cities area homeowners who are saying, “I Love My Contractor!” Call Twin Cities Siding Professionals today at (651) 967-0873 to schedule your FREE in-home consultation on siding, windows, doors, stone, decks, painting, or roofing.